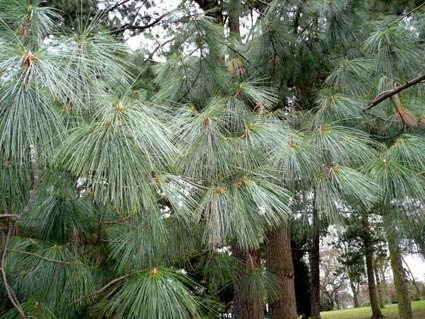 This is one of the 5-needle pines, a large group that are quite difficult to tell apart. 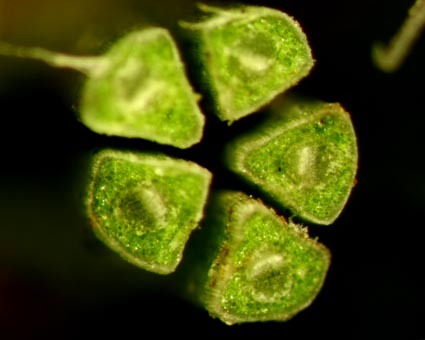 There are about 15 species commonly seen in cultivation and more species and sub-species in the wild. This species has distinctive very fine pendulous needles with a bluish colour and three distinct lines of stomata running the length of the needle. 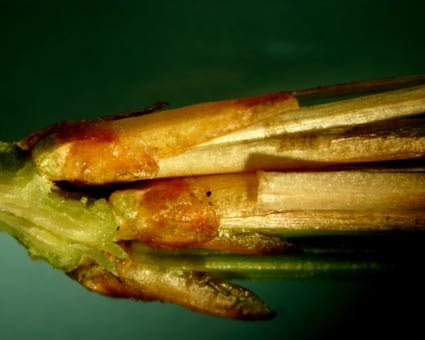 The needle is finely toothed and the needle sheath is large, papery (see photo below) and is deciduous - ie is shed during the first year after needle formation. 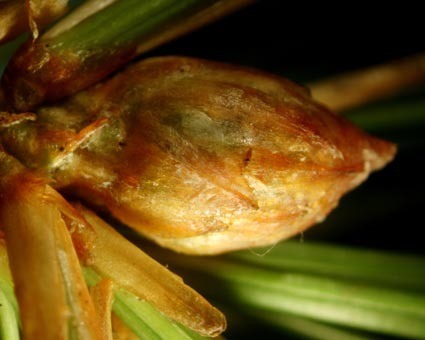 The winter buds have scales that are tightly pressed to the bud. 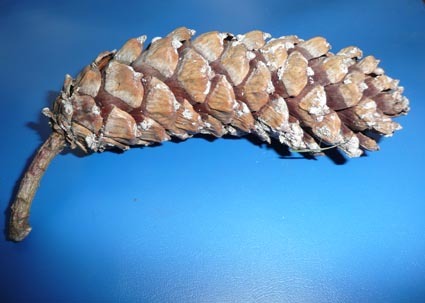 The cone is large, cylindrical and rather lax. 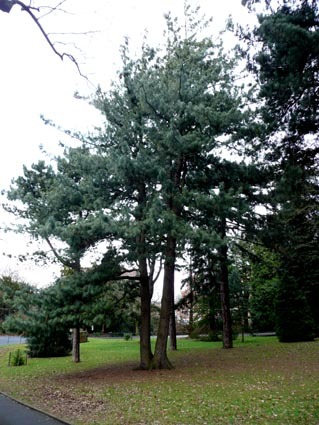 This is a very handsome tree. The example in the Belfast Botanic gardens is beside the path from the Kelvin statue to the Ulster Museum.